While researchers were looking to study snow leopards high in the Himalayas, they came across a domestic-sized wildcat. 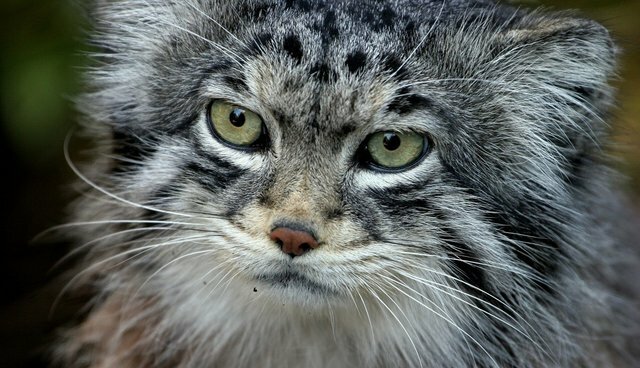 The cat has no local name, but the researchers believe it is a Pallas' cat, related to other small felines found in Central Asia. The Blotched Boulder Frogs' habitat consists of a field of rocks in Cape Melville, Australia. It lives in the cool, wet depths of the boulders when the seasons are dry and "emerges on the surface rocks to feed and breed in the rain," according to the press release for the discovery expedition. Unlike most mantises, these flat, broad bugs don't passively lie in wait for prey -- like insectoid wolves, these bark mantises chase down smaller animals. The discovery encompasses 19 new species of closely-related praying mantises, including Liturgusa algorei, named after environmentalist and former vice president Al Gore. 4. 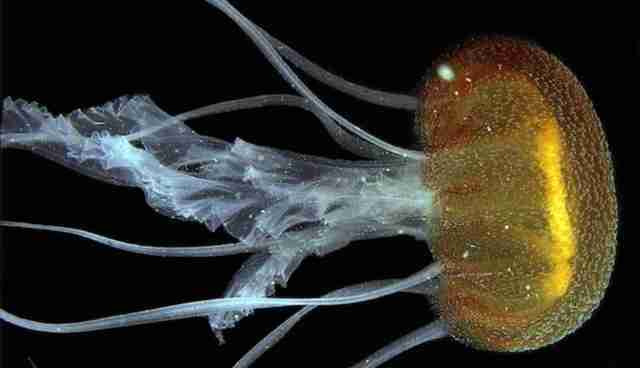 The Beautiful Jellyfish With "Ribbon-Like Gonads"
When a swarm of jellyfish appeared in the Gulf of Venice, "it was immediately clear that we were dealing with a previously undescribed species," writes biologist Stefano Piraino about the jellyfish Pelagia benovici. "The white horseshoe-shaped, ribbon-like gonads, the yellow-ochre color of the jellyfish umbrella, the pronounced warts on its surface and the long and delicate, transparent arms were distinctive elements." The flic-flac spider gets its name from the cartwheeling flips it uses to evade predators in North African desert dunes. The spider is also the inspiration behind a robot that spins in similar maneuvers over the sand. 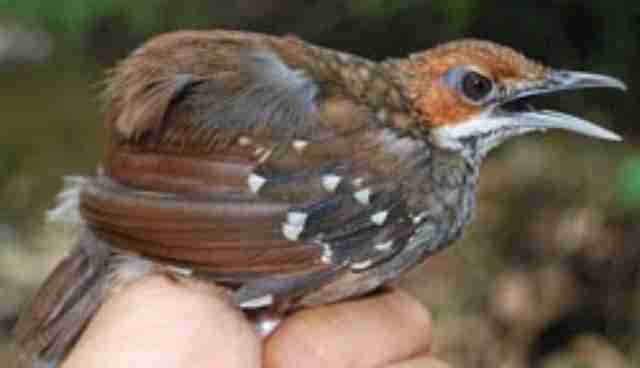 The Sierra Madre ground warbler, a bird that lives in the Philippines, is a poor flier. But the bird doesn't have to worry about its song alerting predators. The calls are "extremely high in pitch, and ventriloquial -- it's almost impossible to locate the source of the sound in the forest," states University of Kansas biologist Pete Hosner. 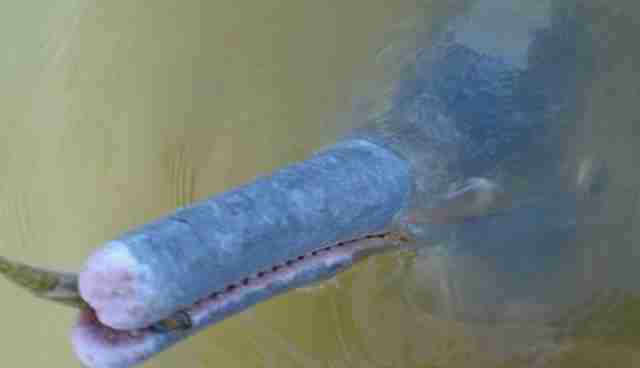 River dolphins are some of the scarcest cetaceans on the planet, and a new species of dolphin that lives in an isolated section of the Amazon basin is rare among even these. Called the Araguaian boto, this marine mammal is the first new dolphin to be identified since the Yangtze river dolphin was spotted in 1918. 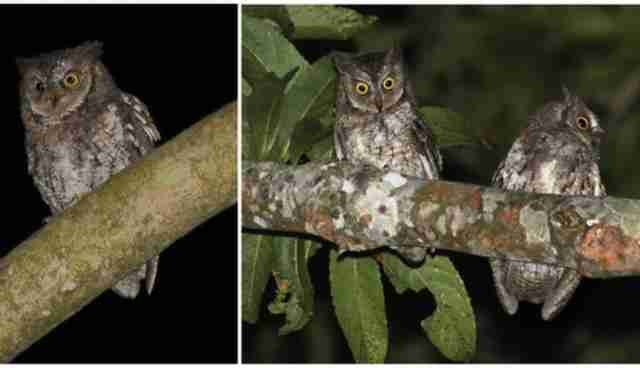 Scientists were listening in for other birds when they recorded the distinctive whistles of the Rinjani Scops owl, a small, golden-eyed owl that lives in Indonesia. "I am surprised that the true identity of this bird has remained hidden from the scientific world for so long," writes George Sangster, a researcher at the Swedish Museum of Natural History, in an email to the AP. "The Rihnjani Scops owl is quite common and can be found on various parts of the island. It is also very vocal, so it is hard to miss." This fish grows from a strange, spindly larva (inset) into a shimmering yellow-spotted golden bass. 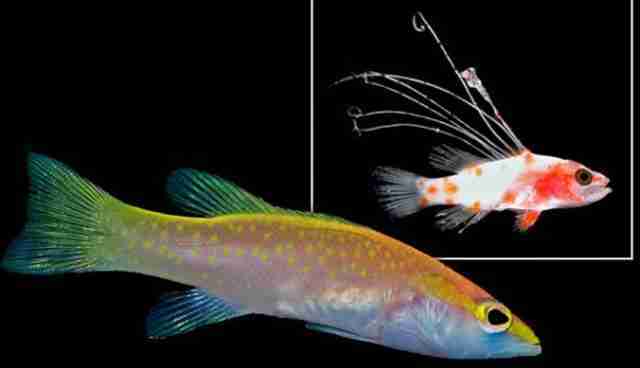 The spines might confuse predators by making the fish appear like a jellyfish, or give it the illusion of something too big to swallow, according to Science. Unlike the yellow-spotted golden bass, the cedar sculpin spends its entire life as ugly fish. "The discovery of a new fish is something I never thought would happen in my career because it's very rare in the United States," Michael Young, a U.S. Forest Service fisheries biologist, tells Reuters. 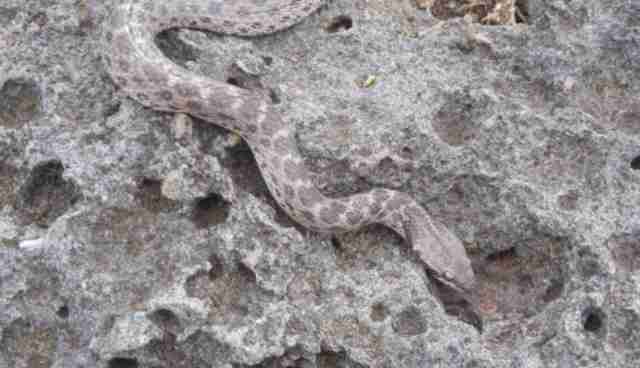 This newly discovered nightsnake lives only on the island of Clairon, off the coast of Mexico. The dark brown Clarion nightsnake blends in with the black lava rock of its habitat, making it particularly difficult to spot -- one reason it's taken scientists so long to confirm the snake exists. Although these amphibians look like they would be at home burrowing through asteroids, scientists found these animals, called caecilians, living in the forests of French Guiana. 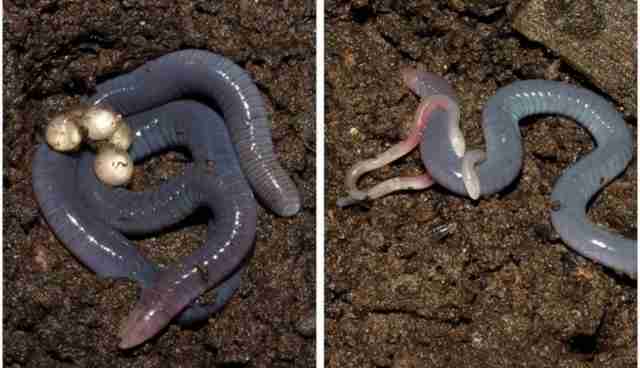 The mothers are dedicated parents: once she lays her eggs, the caecilian curls around her brood until the babies hatch, when they'll feed harmlessly on the outer layers of her skin. 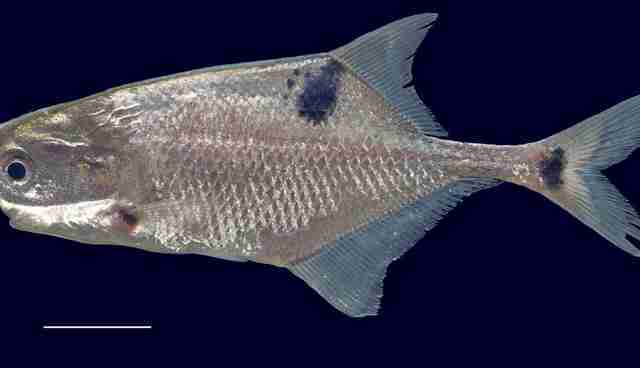 Ichthyologists caught these fish, which can generate weak electric pulses from their tails, swimming in the Congo River. 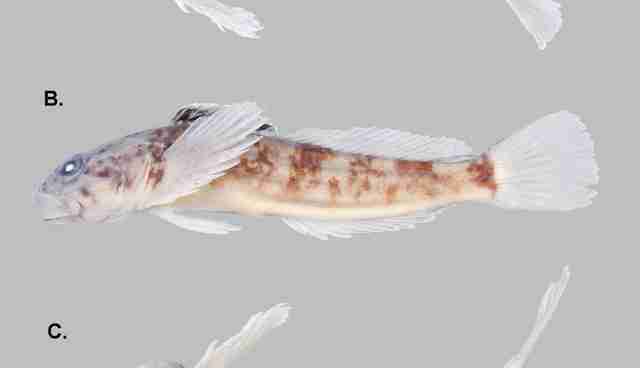 Humans can't feel their tiny shocks, but the Petrocephalus boboto fish send pulses to communicate gender and identity, according to the scientists. The olinguito is a small, omnivorous mammal related to raccoons. 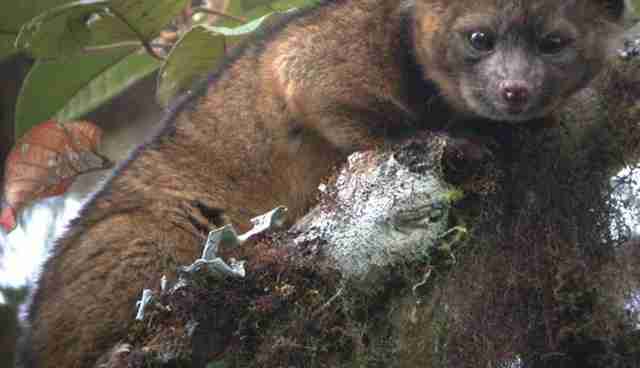 For years, scientists had mistaken the olinguito for other animals, even mislabeling their skulls in museums. It wasn't until DNA analysis confirmed a biologist's suspicion that the reddish, raccoon-like critters were a completely new type of mammal.